When the Samsung Galaxy Note first came into the scene, most of us couldn't take it very seriously, because of its gigantic size that made it far more difficult to handle compared to a regular smartphone. However, it turned out that there is a market for such kind of device, which attempts to fill the gap between a smartphone and a tablet (some prefer to call it a “phablet”, which is a word that we aren't too fond of). Apparently, the Galaxy Note must have been a win for Samsung, considering that we've been hearing all kinds of rumors about a successor recently. Let's try to extract the vital, most important info from all the speculations and see how the Galaxy Note II is shaping up, at least in terms of specs. 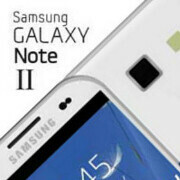 No much is known about how the Galaxy Note II is going to look, although we guess it's relatively safe to assume that it'll be somewhat similar to its predecessor. Still, we've heard that it may come in a slightly narrower, thinner, and taller body, compared to the original Note, which wasn't impossible to hold with one hand, but didn't provide the most comfortable experience possible either. 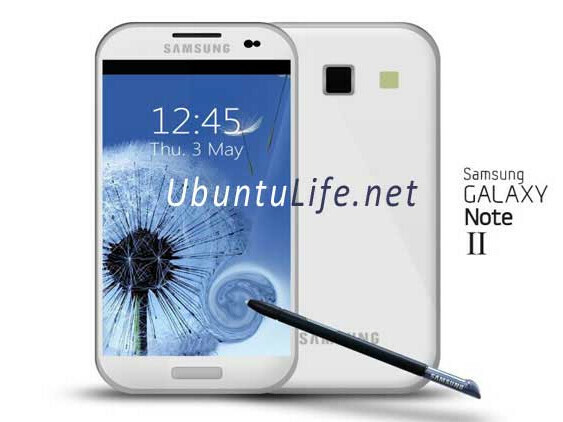 Most unofficial sources that have revealed info about the display of the Samsung Galaxy Note II agree that the device will come with a 5.5” panel. There has been a single rumor claiming that it will be a 5.4” one, but it also stated that the handset will introduce flexible screen technology, so we aren't willing to believe it. However, determining the most possible resolution for the Note II seems to be a bit harder. The thing is that the very first rumors centered around the WSXGA+ resolution, or 1050x1680 pixels. While that would be great, though probably a bit of an overkill, later info has mentioned the more trustworthy 720x1280 res. Although 720x1280 would be perfectly enough for this screen size, we can imagine that Samsung will generate considerably more buzz by including a higher-resolution display, considering the fact that every high-end phone has an HD screen nowadays. When it comes to the display technology, we can be pretty much sure that it will be some kind of Super AMOLED. In almost all cases, the quoted tech is simply HD Super AMOLED, though we have our secret hopes that the manufacturer will manage to get rid of the PenTile matrix and replace it with a good old RGB one, and make this an HD Super AMOLED Plus display. That will improve the viewing experience even further and will lessen the need for such high resolution like 1050x1680. All in all, we're willing to believe that Samsung is not ready to deliver a device with flexible screen to market yet. One source even mentions that the company won't use its “unbreakable plane” (UBP) technology, which is said to be a precursor to the flexible tech. We're OK with all this – we too feel that the time for flexible gadgets is yet to come. Once again, there isn't consensus on the processor that the Samsung Galaxy Note II will be using. The first rumors started with talk about the Exynos 5250, but some leaked benchmark results that appeared later saw the device running with the Exynos 4412 – the same SoC that's also available in the Galaxy S III. Although the 5250 would have been more powerful, the 4412 still packs quite a punch, plus it will probably be clocked at 1.6 GHz, so we can expect some pretty smooth performance from the next Note. On the GPU side of things, the Exynos 4412 will sport the Mali-400, which has already proved its prowess in the Galaxy S III. The RAM memory on the Galaxy Note II will most probably be 2 GB. Earlier, some suggested that the device will come with 1.5 GB, but considering that the U.S. versions of the Galaxy S III have arrived with 2 gigs, it's hard to imagine that Samsung will stick to anything less than that for the Galaxy Note II. Unfortunately, we can't be that certain when it comes to the main camera of the device. We can be almost sure that it'll be either 8MP or 12MP one, but only time will reveal exactly what kind of sensor Samsung has included in its latest product. Whatever it is, we can be sure that it'll be capable of taking some wonderful photos and video. The Galaxy S III did quite well in this respect, so in case Samsung doesn't screw something up with the Note II, we can't see a reason why it won't be at least as good. Of course, the handset will also have a front-facing camera for video chats and noisy self-portraits, but we haven't heard of any specifics. It would be surprising if the Galaxy Note II launches with anything less than Android 4.1 Jelly Bean, and indeed this is the most common theory. Still, this is where those leaked benchmark results come in again, this time to ruin the party by listing the Note II as running Android 4.0.4 Ice Cream Sandwich. We shouldn't forget, though, that this was just some old, unofficial benchmark info, so the final device might easily arrive with Jelly Bean. Worst-case scenario will be if the Note II does come with ICS, which wouldn't be that much of a deal-breaker, since ICS is still super-cool. As far as additional features go, it's almost certain that LTE and NFC, as well as S Voice, S Beam and the other Samsung offerings bundled with TouchWiz UX will be on board. In contrast to most other devices, with the Samsung Galaxy Note II we've seen the rumored release date get closer to the present, instead of be moved further into the future. In the beginning, it was thought that the Note II will come in October, which was then moved to September, and even late August, as many believe Samsung will use the start of the IFA 2012 trade show (starts August 31) as a stage to announce the Galaxy Note II. Whenever the manufacturer decides to unveil its new product, you can count on us to keep you informed about all the details surrounding this hot new product. Galaxy Note! One of the fewest good phones manufactured by Samsung. how about "the note looks like a smaller iPad"? LOL. But your right they will try some how. Great for Samsung for not suing others copied screen size 5.3 - 5.5 gigantic phone. Rotten Apple filed lawsuits and expected Samsung to pay $2.5 billions for "the looks and feels" on Samsung Galaxy S to iPhone. Apple's CEOs are very crazy people like Steve Jobs and now Tim is trying to Cooks Samsung. I really want to ask Apple to come over and to LOOK and FEEL T-H-I-S! We need hard cold facts; not iRumors. U.S. Carrier Availability? Release Date? Exact Size? Verizon? Verizon? Verizon? Screen size is really very giant.! Samsung will make the "fat phone" narrower so it will be easier or more comfortable to hold. Basically, it will be more rectangular than the first generation. more fail from samsung if those specs are true. Try MOTO MAXX! It is a sign of your personality and Samsung device compatibility issue. yes i agree. in fact the only android phnes im ever going to get will be LG, Sony or Moto. Want a phone that is superior in every way than samsung? Try Sony Xperia. Best phone ever. yea.. unless you compare it to a galaxy phone. Its inferior in every way hardware wise. how is e hardware excellent? kinetic scrolling is so choppy, the phone hangs and it lags even when i scroll through pages! and mind u, i dont have many apps on my phone. im not going to root it. the phone is like 3 months old only. i'd find that hard to believe if you have the International Variant but if you have the Crapdragon powered US Variant then i could find that a little more believable. it must be something with your particular device then because nothing with Exynos lags. the Note wouldn't be THAT much better than the 3D being that it uses an OMAP4430 which is second to the Exynos from SoCs from that generation but the Note should be noticeably faster. but considering that the Note has almost 50% more RAM and that Samsung is known for good software optimization and LG isn't, shouldn't the Note be significantly better? ?